Firemizer Launches with The Grommet! We are pleased to announce that The Grommet is running with Firemizer! 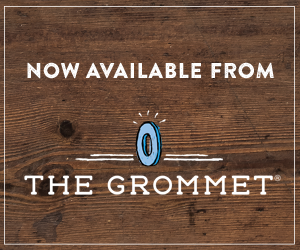 The Grommet is an online product launch platform for early-stage consumer products from independent makers, inventors and entrepreneurs, with more than 60,000 products that have been reviewed by The Grommet, Firemizer was one of only 2,000 products or 3% that was selected! The Grommet will launch Firemizer in the USA on Monday the 26th of October 2015 at 10am EST. Kevin Jackson, the President of Microtex Products Inc. will be available to answer any questions you have regarding Firemizer between 10-6pm.